Music is very important in the Dominican way of life. It is said that Dominican children can dance before they can walk. Everywhere you go in the country can be heard some type of music. Be it Merengue, Bachata, Salsa, Reggaeton.or Merengue de Calle. Here in Dominican Republic as soon as there is music is seems that there is always someone dancing along. Even when a car passes playing music you can see someone in the street doing a little dance step to the passing music. It is contagious. You will find in no time that you may be doing the same little dance moves as the Dominicans because the music makes you want to get up and move. This is one of the many reasons we love our country! 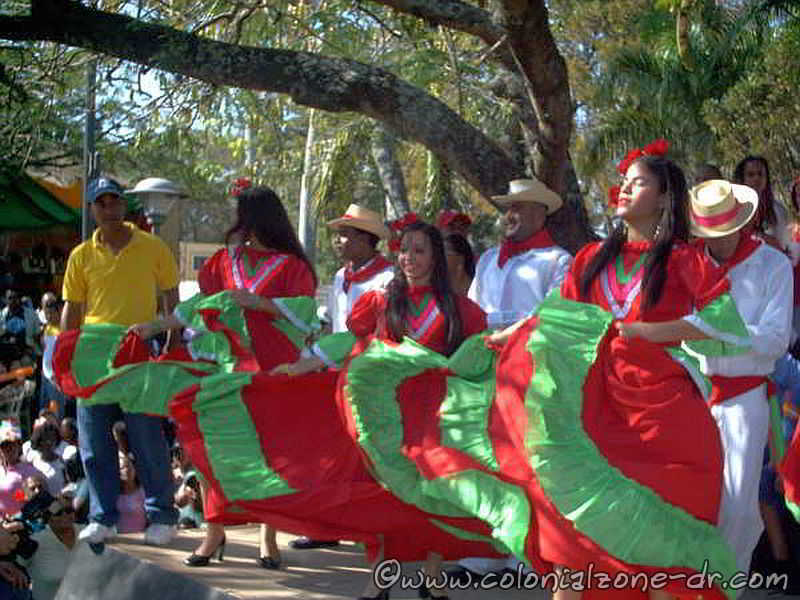 The traditional dancers of Dominican Republic. These style dancers put on exhibitions throughout the country. They are enjoyable to watch with their traditional clothing and smiling faces. There are many outdoor concerts held in Santo Domingo. Many larger concerts are held at the Plaza Juan Baron near the Obelisco Macho on the Malecon, Plaza Güibia and also Avenida del Puerto Francisco Alberto Caamaño Deñó, near the river Ozama at the ferry stop. There are also free out door concerts held by the Tourism and Cultural Departments. 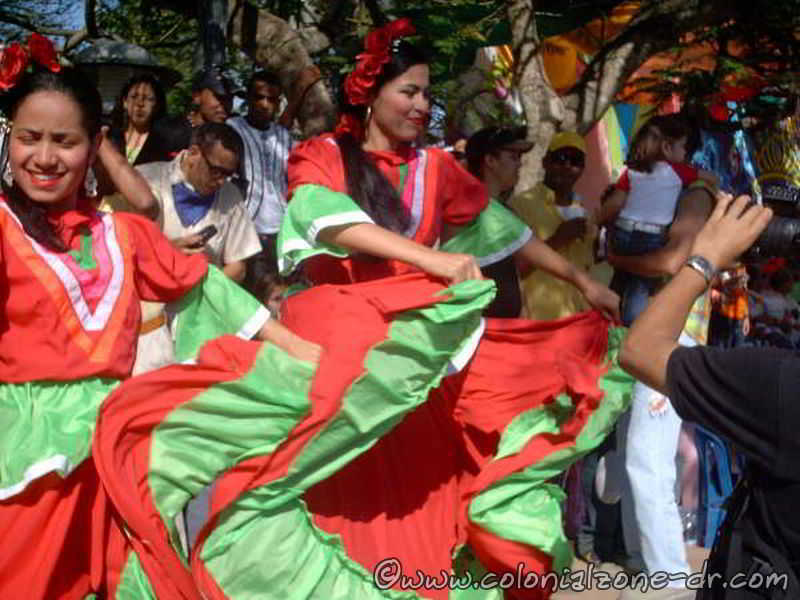 *Plaza España every Friday and Saturday in Colonial Zone is a cultural presentation called Santo Domingo de Fiesta. *Every Sunday night listen to some local talent, Grupo Bonje and dance under the stars at the Ruinas del Monasterio de San Francisco. This is also free and it is a great time! So come on and enjoy the music, dancing, people and drink. All done by the light of the moon. To see some pictures and a video of the fun at the Ruinas with Grupo Bonyé visit the Colonial Zone News Blog. 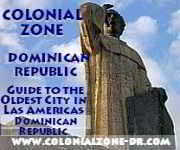 For more events and concerts in the Colonial Zone visit the Colonial Zone News Blog. 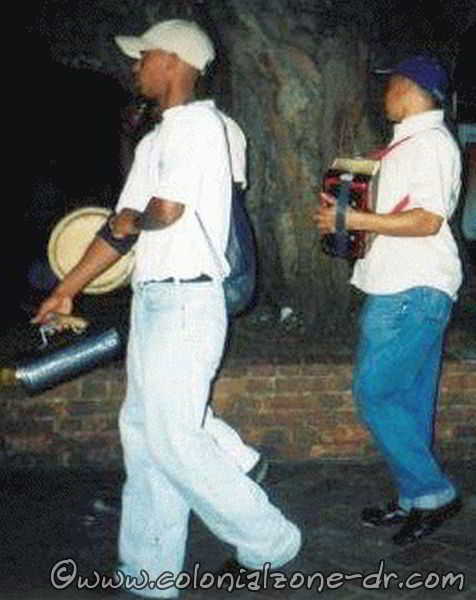 Street musicians are a normal site in the Colonial Zone area and elsewhere throughout the country of Dominican Republic. If you see them playing in a restaurant or walking the streets give them $100 pesos to play you a few songs. You can just sit back and enjoy the original entertainment along with all the people around you. Maybe even dance to the song. These musicians love entertaining you and watching you enjoy yourself and you'll also be helping them out with your donation. Watch the video below I took in Parque Colon. Note the passer by lady had to stop and dance a little with the guia (that is the metal tube type thing with little bumps) player. 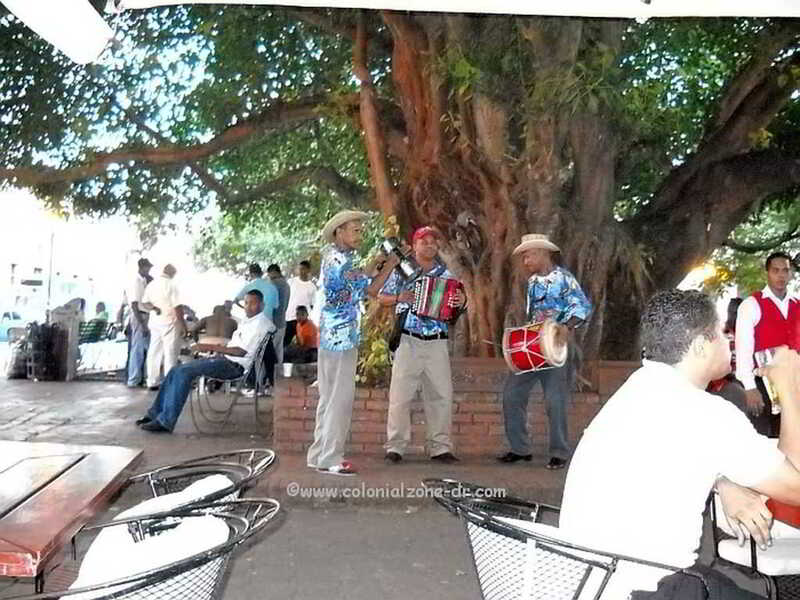 Musicians in Colon Park playing musica tipica / typical music of Dominican Republic. Watch the video above to hear them play. Alex Bueno - "Ayyy, Dio mio"
Hermanos Rosario - ¡Bomba mi hermano! Kinito - “Su amigo, su amigo"
Zacarias Ferreira - "Zacarias Ferreira, para te"
Ruby Perez - "Me voy"
If you want to experience Dominican music and have no idea where to start your search or what to search for. These are my suggestions of must haves. This is a variety of music all from our little island in the Caribbean. I Love Bachata 2014: 100% Dominican. A must for your Dominican Republic music collection. Singer-percussionist Chichi Peralta. We love this disc. Xiomara Fortuna & Sinhora Band - Jazz Fusion of Caribbean rhythms (MP3). She plays live throughout the Dominican Republic often. Radio Macana - Luis Días & Las Maravillas. He was one of the most loved Dominican rock musicians ever.